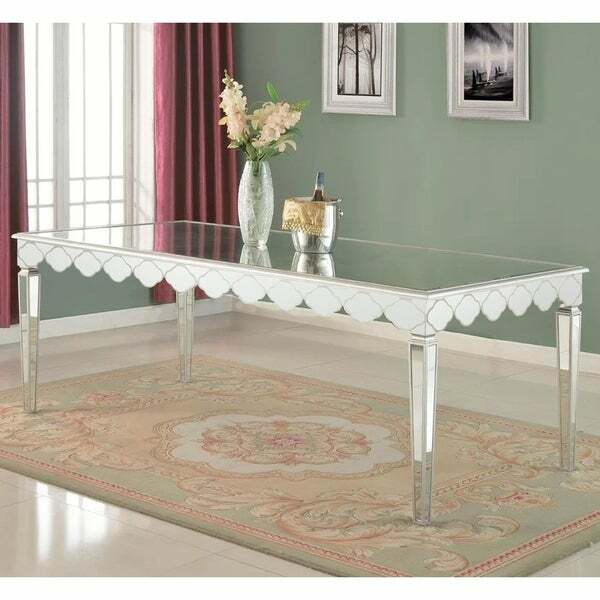 Your chic dining room comes to life with this exceptional mirrored table. Wooden accents add a natural feel to this modern table with brushed silver coat trim and a diamond-themed apron. Dimensions 80.3 In. X 41.0 In. X 30.8 In.